I was delighted to find a video by SFD of a making of an animated window for M&S. UK-based SFD prides itself as a key international supplier of inspired retail environments. 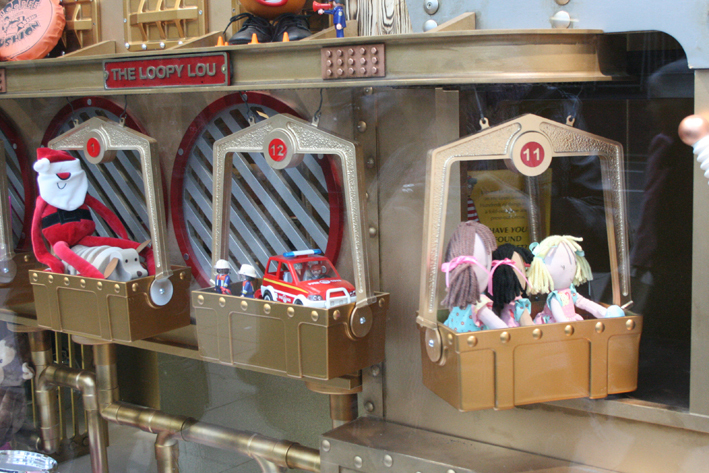 They were commissioned to design a toy window around the idea of a workshop inspired by Wallace and Grommit and Willy Wonka. With over 50 moving parts they have more than answered the brief. Read the full story by Paul Brooks from SFD of the making of these windows here. 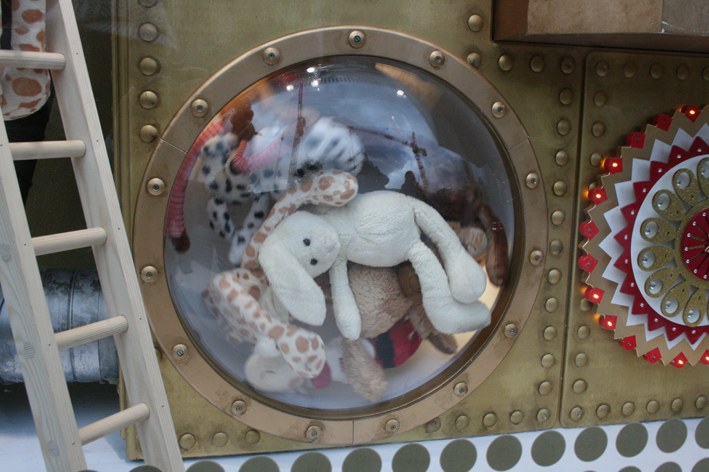 This entry was posted in Christmas, Product Promotion and tagged Animated window, christmas windows, display props, Marks and Spencer, oxford street, SFD, The making of, Toys. Bookmark the permalink. Thank you so much for creating this blog. I’m so grateful because I had been looking for window photos from London for a long time. I think they are the best in the world! 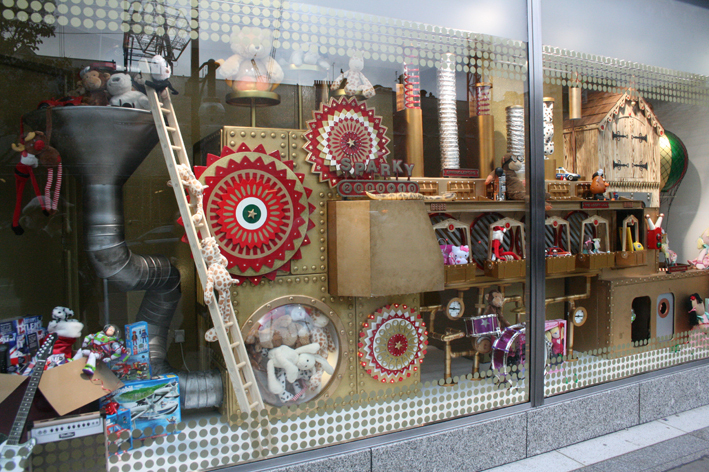 Anyway, I’m a window dresser myself and wondering if you would care to feature my holiday window photos on your blog? Please let me know. Thanks! join my facebook group and you can post the photos there! Hei, I just found your blog and I’m in love. I love windows and I also photograph them too. You are Finnish, aren’t you? At least your name is Finnish. I’m Finnish too, living in London. Hi, yes, we share a love for windows as well as nationality! Etta moi vaan!